Observation - Lichen on Limestone Wall - UK and Ireland. Description: A crustose lichen with orange fruiting structures. 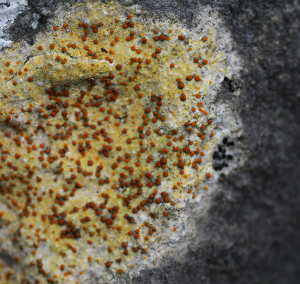 A crustose lichen with orange fruiting structures.